Today we sit within a day, stuck in the middle of a brutal crucifixion and a blessed resurrection. Stuck in the middle of two completely opposite emotions. So many live all of their lives in this space: never moving past one feeling about their faith and into the place where that faith becomes an active part of their spiritual journey on this earth. What if "faith" is not so much about what we believe as it is about using that belief for the good of all mankind? I mean the Bible does tell us that faith without deeds(actions) is dead. 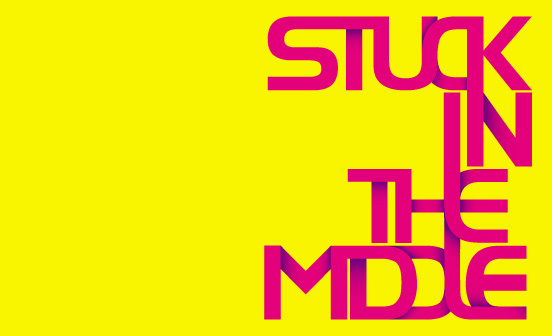 You don't have to be stuck in the middle any longer! I encourage you to find a local church this Easter and reconnect to the ONE that makes life possible for all of us. You were designed to be used by God for some amazing things and this could be the most incredible weekend of your life! It's time to get yourself unstuck!